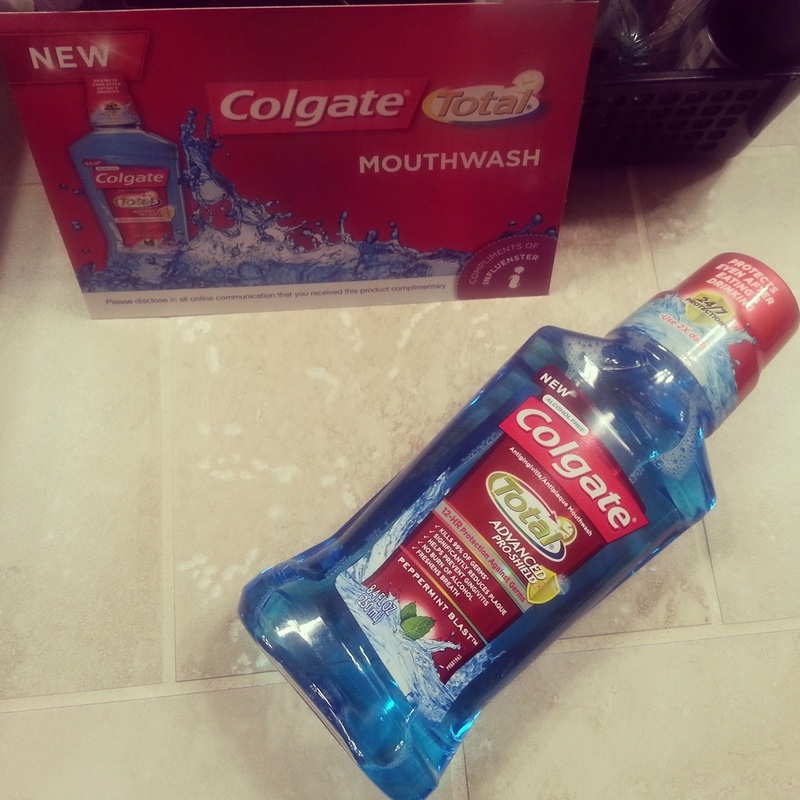 Influenster had chosen me to review the Colgate Total Advanced Pro-Shield Mouthwash in Peppermint Blast. Now I must admit that I hardly ever use mouthwash before/after brushing my teeth. 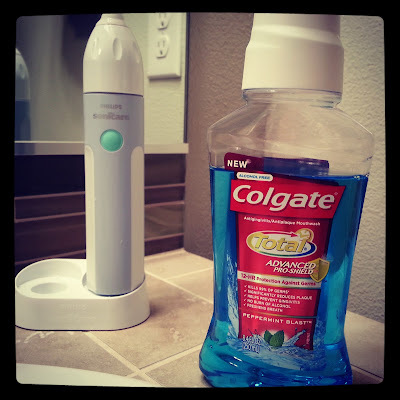 I've just always hated the stinging feeling against my gums and it would make me tear up constantly each time I would use any kind of mouthwash. I prefer using a handy-dandy tongue scraper instead to get rid of the bad morning breath. haha.. So when I received this mouthwash in the mail last month, I was surprised to read on their front label that it was a no burn alcohol feeling with this new mouthwash. I decided to give this a try and use it every day for the best results. For the first night, I thought it wasn't too bad and thought that stinging feeling wouldn't happen but it kinda did.. but not as bad as other mouthwashes. I tried each night moving forward and the feeling went away and it was exactly how I would want it to be. Price: $4.99-$6.99 + tax but right now Target has an online price of $2.99 (here)! Overall: I would give it an B+, I mean I don't really know for sure if the protection of 12 hours really is true or not but the minty taste isn't bad plus without the alcohol burn! It felt nice to be able to add this to my morning routine. ;) And for an 8.4 fl oz sized bottle, the price seems to be a bit high in my opinion unless you get it at Target online which is a steal! But if I were to purchase this? That's a maybe.. I might want to try their spearmint flavor because I LOVE spearmint anything. haha.. It sounds good! I use Colgate & Crest products. I usually use Listerine for mouthwash. It kills the germs and limits me catching colds. With modern society, the posh imitation wristwatches will not be solely this pieces of which say to gucci replica the time period but this tasteful piece to help appearance ones individuality. By far the most alluring position is usually you can employ a preference on the extravagance devoid of finish up your bank account. This these reproductions will cost some sort of rolex replica uk tiny proportion connected with dollars on the authentic people. Using a really magnificent imitation clock within the arm, you might sketch many jealous glances from the herd. Also, it would be some sort of very best gucci replica treat to help another person people beloved. I'm sure the individual could well be incredibly to obtain a really provide. Available as one concept, imitation wristwatches should bring people as often joy for the reason that real people. While using the progress connected with state-of-the-art worth, these reproductions are likely to gucci replica element an increasing number of great, there' no requirement to help think a sense of shame involving imitation pieces much more. In a word, in the event you want many very affordable products, excellent imitation wristwatches can never help you decrease. Simply just look into by rolex submariner replica excellent imitation wristwatches merchants having very good name in addition to beneficial services.